This post comes out of a conversation that I have quite frequently with my customers and prospects. The conversation normally starts with questions about Social Media and how to build an effective long-term strategy. My response has very little to do with Social Media at all, and this is often surprising to them. Sure, each platform should be understood and evaluated based on merits and significance to your messaging, but more importantly, the Social Media conversation is not the 1st conversation that needs to be had. It’s not even the 2nd conversation. THIS is the 1st conversation that needs to be had: Let’s talk about CONTENT for a moment. You’ve heard it before: Content is King. 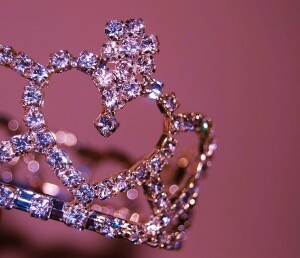 Well, if Content is King, then is Social Media Queen? No. Content is also Queen. And Content is Prince, Princess. In fact, Content is your entire Royal Family. The value delivered in your content is what distinguishes you from your competitors. That value is what provides an otherwise obscure company or product with a platform to connect with prospects and customers. Your high-quality, high-value content enables you to engage with users and create relatedness with your Tribe. Your products and mission might not be unique to your marketplace, but your voice is. Observable and Measurable Fact: there are areas that your company excels at. There are some areas where you perform okay, others which could see improvement, and there are some areas where other companies are simply doing it better than you are. That’s business, and it’s okay. Some competing products are better than yours, some are not better than yours, but your uniqueness lives in the value that you can provide to your Tribe aside from the quality benefits of your product offering. Your content is your vehicle and it carries your brand voice. Nothing communicates your brand value better than highly-engaging content. Congratulations, in addition to whatever marketplace you’re working to compete in, you’re also now a publisher, and you’d better get used to it and fast. What about Social Media then? Well, if Content is your Royal Family, Social Media is simply the place (s) where you get to promenade, to strut your stuff, to fly your colors. Social Media channels are among the places where you get to show your brand’s uniqueness, where you get to display the unique value that your Content can deliver to your Tribe. Another note: you may find that some Social Media channels are not always the most important places for you to strut your stuff. This is a larger conversation that I need to write about in a standalone article. There’s also the matter of building up your Newsletter Subscriber list, and in most cases, this List will prove to be your most valuable marketing asset over time. Which Social Media channels are right for you? That depends entirely on the nature of your content, the audience that content is made to appeal to, and what delivery methods you’re able to prepare your content for, but what’s most important to understand is that if you aren’t prepared to develop and publish High-Quality, High-Value content around your brand, you have no Online Marketing Strategy. Thanks for reading, and feel free to troll me in the comments below.